Philly POPS on stage at the Kimmel Center. 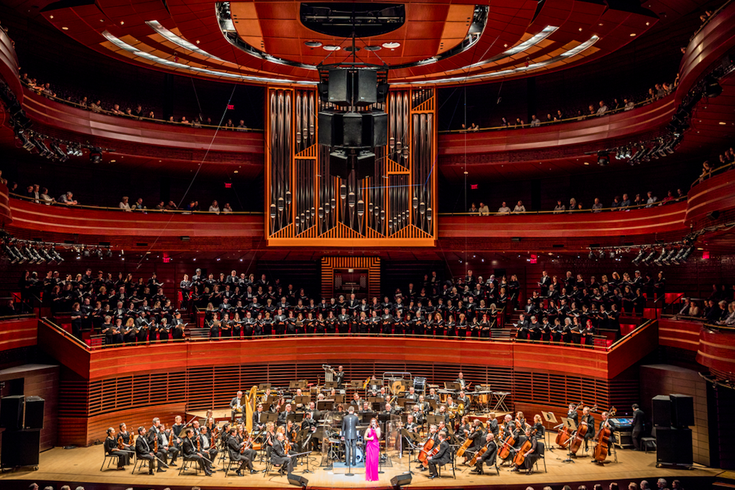 The Philly POPS will end its 2017-2018 season with a classic rock sing-along, featuring Broadway vocalist Bryce Ryness and the 170 members of the Festival Chorus. There will be three performances of "POPS Rocks" in the last weekend of April. The audience is encouraged to sing along to hits from the Rolling Stones, Led Zeppelin, Queen and more rock legends. Below is the show's program. • "A Day in the Life"
• "Livin’ On A Prayer"
• "Joy to the World"
Tickets start at $35 per person. Currently, the Friday, April 27 performance has the most seats available.